A good inspection is a thorough examination of all the major systems identifying the materials used, the approximate age and general condition of those systems. 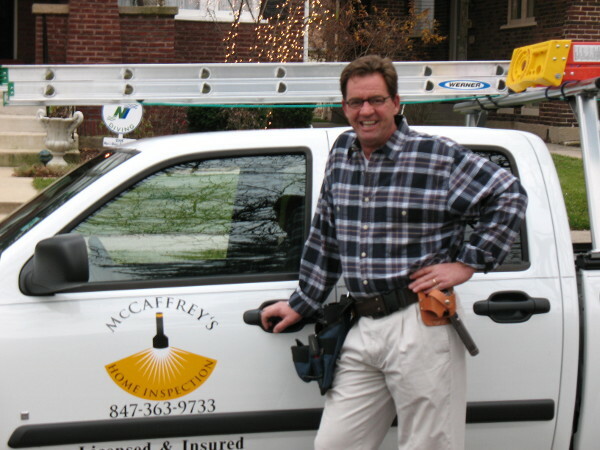 McCaffrey's Home Inspection provides up front pricing for most property types. Book your inspection online and get a $50 discount. I just wanted to send you an email to thank you for the great inspection you did last week for Deeann. As a first time buyer, I know she was nervous about many things, but you were very reassuring and pointed out all kinds of things she needed to know as a buyer (rather than as a renter). Thank you Mark; you're the greatest, a true professional. I can always count on you to do the right thing. And you can quote that on your website! It sounds like a testimonial waiting to happen. Thank you for your excellent work yesterday, as well as for the detailed report. If we know anybody who would be looking for a house, we know whom we could recommend as an outstanding house inspector at this point. TJ told me all about the inspection today. Thank you for referring us to such an thorough and knowledgable inspector! It was a pleasure meeting you. I don' t know very many inspectors, but you were very personable and thorough in your analysis. Your report is clean and very detailed, and I will definitely recommend you to my friends and family. Thank you again for everything! You are the best out there-- my dad agreed! We both will be passing along your information to friends and family. How far are you willing to travel? Do you only do Northshore? Thanks for the thorough inspection of my townhouse. Thanks to your findings the seller and I were able to work out the few problems you noted and I get to move into a home that is problem free. I'm in the construction trades and was skeptical when my real estate agent insisted I needed a home inspection. Boy was I wrong. Mark McCaffrey spent 3 1/2 hours going over my vintage 2 flat with a fine tooth comb. He found problems in areas I would not of thought of looking. He alerted me to systems that would need upgrading in the future. This was a real eye opener, thanks Mark for all your help! Mark, You rock! As a 1st time buyer I was intimidated by the prospect of upkeeping my new townhome. You made it all seem so simple. Thanks and you can bet I'll refer you to my friends and family. Thanks Mark, I was able to negotiate credits due to problems you cited. My attorney told me the whole process was easier because of how clear the report was in descibing the issues with the house. I knew the home I was buying in Evanston was old and needed some tender loving care. You showed me the strengths and weaknesses of the house and the areas where I needed to do immediate repairs and those areas that would need maintenance and/or repair and replacement. Thanks Mark. I refer Mark McCaffrey because he’s smart and ethical. He comes ready to work – he’s got all the tools, he'll go up on the roof or crawl out onto the joists, whatever it takes to make sure the inspection is done right. Mark McCaffrey's inspection of my condo was thorough and informative, the report was clear and concise with color pictures, and the service was timely and courteous. McCaffrey’s identified a number of problems with our townhouse and we negotiated to have these things fixed, saving me thousands in repair costs, money that would have come out of my pocket! I'd recommend him to anybody.